Let’s face it – every single one of us who doesn’t have naturally straight hair fantasizes about having poker straight tresses that flow unfettered in the wind. I get it. I get the urge, the desire, the absolute need that you feel to straighten your hair. Be that as it may, hair straightening – whether done at home with a straightening iron or through a chemical treatment at a salon – comes with a host of side effects that can spell disaster for your hair. “WHAT SIDE EFFECTS? WHAT DISASTER?” you must be wondering in alarm. Well, here’s what you need to know. 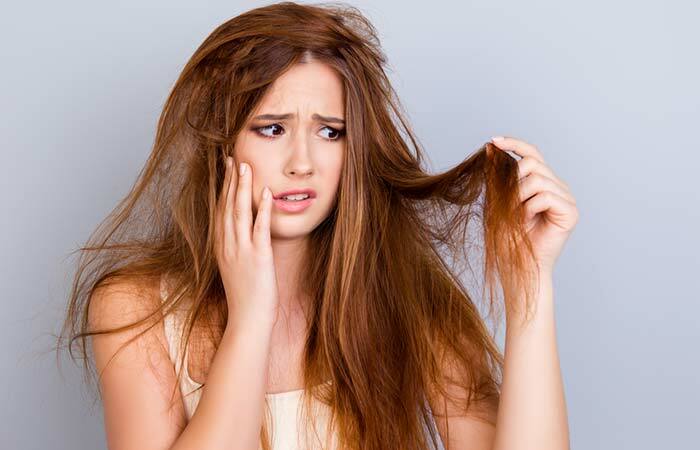 What Are The Side Effects Of Hair Straightening? The side effects of permanent hair straightening and the straightening you do at home are many, ranging from something as minor as dullness to something as major as hair loss. So, let’s take a deeper look, shall we? Have you ever noticed smoke rising out of your hair when you’re straightening it? Well, it pains me to tell you that that’s not smoke. It’s actually steam. Basically, a straightening iron works by seeping all the moisture out of your hair to straighten it and secure the style in place. And the only way that the moisture from your hair can escape is by evaporating and turning into steam. This is why your hair goes back to its natural state after you wash it because moisture is restored into it. However, using heat styling tools and chemical treatments regularly over a long period can rob your hair of its natural oils and make it extremely dry and brittle. So you thought straightening your hair was the ultimate way to get rid of all your frizz, huh? Well, unfortunately, hair straightening, in this case, is quite counter-intuitive. This is because the dryness caused by frequently straightening your hair ultimately leads to more frizz, not less. Now that you know that temporary and permanent hair straightening can lead to excessive dryness, it’s safe to say that they weaken the structure of your hair strands. Thus, the individual strands of your hair become more susceptible to breaking right from the middle. 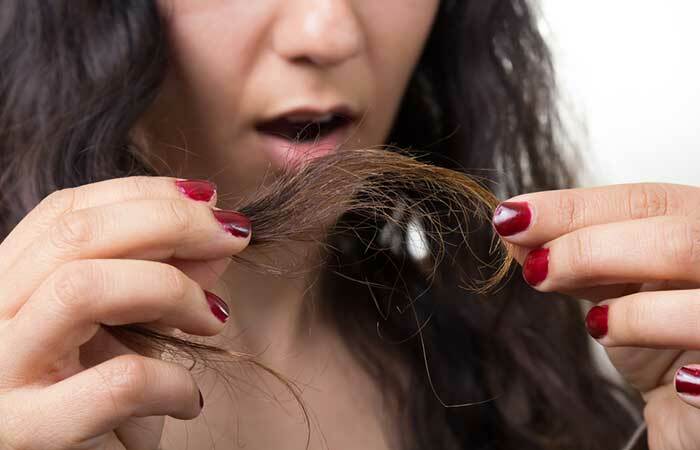 Split ends are usually formed when your weakened hair starts breaking from the middle. Besides being a clear indication of the fragile state of your hair, they also make your tresses look unsightly. The natural oils from your scalp and the moisture in your hair are responsible for the beautiful, healthy shine of your hair. When you rob your locks of these two components through straightening, all you’re left with are dull, lifeless tresses. If you think that you can straighten your hair for years and restore its health by simply putting away your straightening iron one fine day, you’re gravely mistaken. 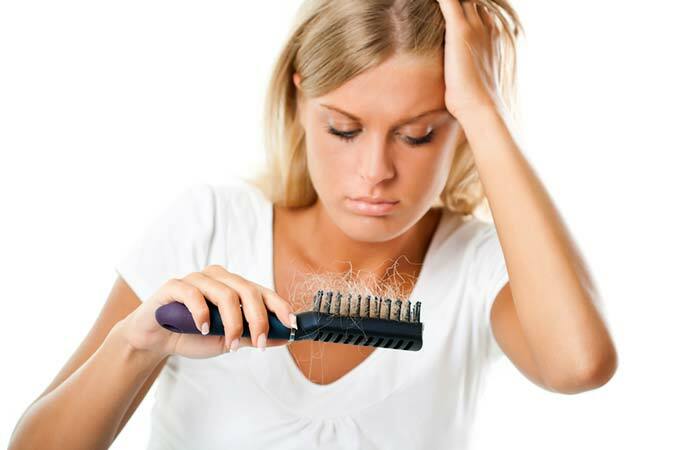 Repeatedly using chemical relaxants and heat styling tools can kill your hair follicles and cause permanent hair loss. 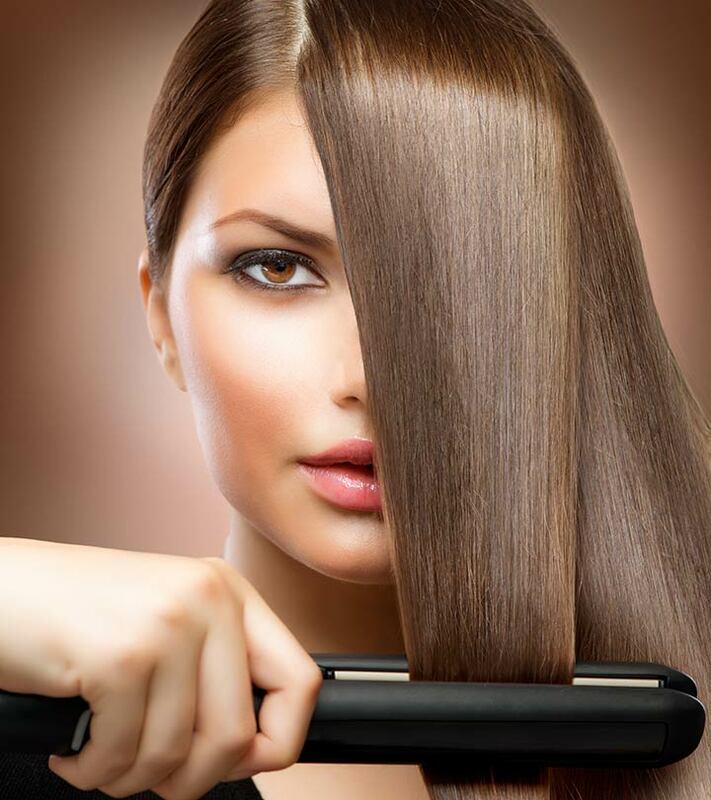 The chemical agents used in permanent hair straightening can alter the texture of your hair permanently. No amount of hair care remedies and hair masks can help you regain your naturally healthy hair strands. Your only option at the point would be to grow your natural hair out completely. Straightening your hair frequently without using a proper heat protectant can damage your hair cuticles permanently, leading to slower hair growth. You know what’s worse than permanently straightening your hair? Waiting for it to grow out. Your roots (quite obviously!) grow out in their natural texture, leaving you with wavy/curly hair on top and straight hair at the bottom. That looks unsightly, to say the least. Some smoothening products that you apply before straightening your hair release formaldehyde gas when they come in contact with heat. 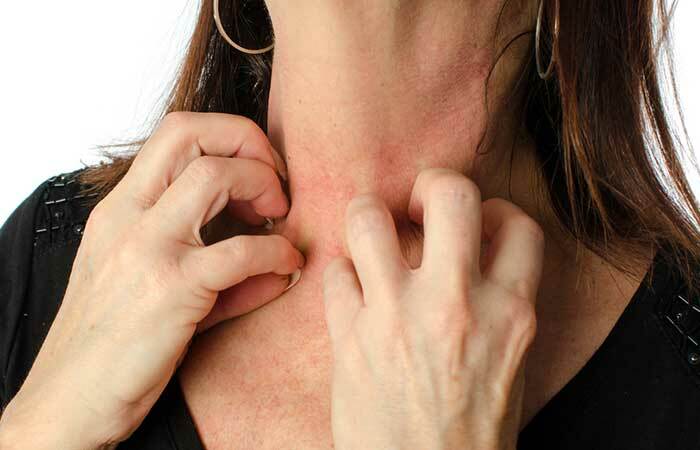 Repeated exposure to this potent gas can cause irritation to your skin, nose, eyes, and lungs. 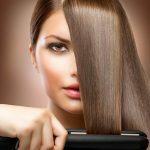 You could, unknowingly, be allergic to the chemicals used in permanent hair straightening treatments. The allergic reaction to these chemicals can occur immediately after the treatment or a few days later and can cause irritation on your scalp and skin, rashes, and redness and irritation in your eyes. The side effects of hair straightening sound ghastly. But it’s understandable if you don’t want to forego straightening your hair completely. 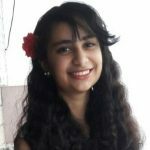 So, here are a few precautions that you can take to avoid the side effects of hair straightening. Always, always, always apply a heat protectant to your hair before straightening it to prevent it from getting completely fried by your straightener. Try to limit straightening your hair to just twice a week. And avoiding doing it daily, at all costs. Use your straightening iron on a low or medium temperature setting. Never straighten your hair when it’s wet as that is when it is at its weakest and most prone to breakage. Oil your hair and use a conditioner every time you wash it to restore the moisture into it. You could also deep condition your hair every two weeks to provide some intense hydration to it. Apply natural hair masks made of yogurt, coconut milk, honey, and olive oil every other week to moisturize your hair naturally. Rinse your hair with apple cider vinegar (two tablespoons of ACV mixed in a cup of water) to restore its lost shine. And that’s that, ladies! 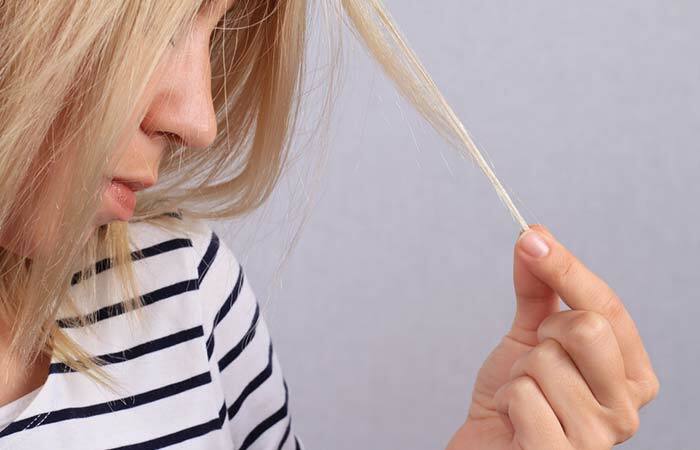 While undergoing any hair straightening treatment – permanent or otherwise – is ever recommended, you can at least take these simple precautions to keep the nasty side effects at bay. Comment below to let us know how you take care of your hair when you straighten it. What does chemical straightening do to your hair? Chemical straightening breaks the disulfide bonds of your hair and resets them in a straight alignment to straighten your hair. Can I color my hair after permanently straightening it? Yes, you can color your hair after straightening it, but it’s best to wait a few weeks to give your hair time to recover from the chemical straightening process. Permanent hair straightening technically lasts forever. However, you will need to get it straightened again when your roots have visibly grown out, which could take around 6 to 9 months.